The Tallinn Pharmaceutical Plant is the oldest pharmaceutical producer of Estonia and the entire Baltic region. 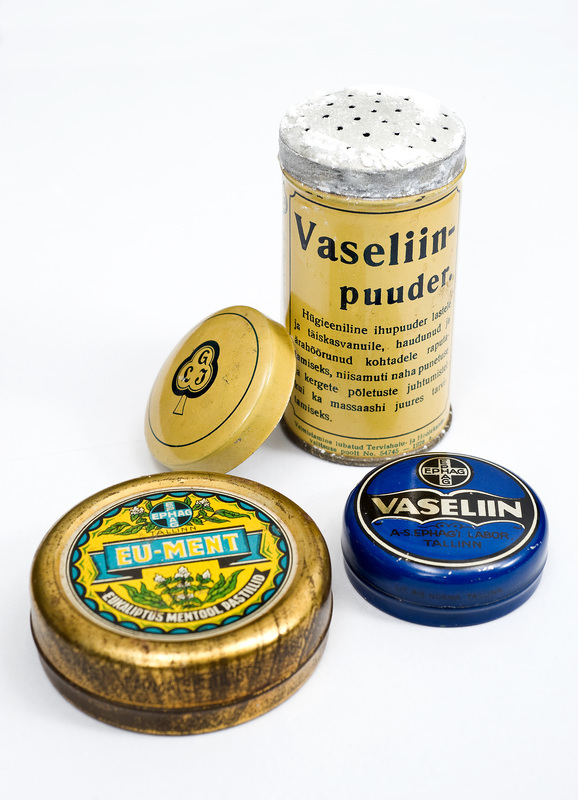 There was no industrial manufacture or wholesale of pharmaceutical products in Estonia at the beginning of the 20th century, when all activities concerning drugs and cosmetics were concentrated in pharmacies. The first step toward a domestic pharmaceutical industry was made in 1913, when some pharmacists of German descent founded the Estonian Pharmaceutical Trading Company, EPHAG (Estländische Pharmazeutische Handelsgesellschaft), which is considered to be the direct predecessor of the Tallinn Pharmaceutical Plant. Before the official incorporation of the EPHAG, pharmacists C. R. Lehbert and R. Fick, who were later elected to the company’s board, applied for permission to rebuild a residential house on Harju Street into a laboratory for pharmaceutical preparations. On 15 March 1914, the manager of the industrial laboratory, R. Fick, informed the Medical Department of the provincial government that the laboratory was fully furnished. 19 April 1914 (2 May according to the new calendar), when the vice governor signed the resolution “Commencement of operations permitted,” is considered the anniversary of the Tallinn Pharmaceutical Plant. The Baltic German Revalische Zeitung newspaper wrote in the spring of 1914 on the occasion of the opening of the EPHAG: “It is a large modern enterprise for whose future you need not worry. The laboratory makes and tests galenical preparations and other medicines that have permission for sale. The laboratory’s larger apparatuses are electrically driven and a lift connects the different floors. The new enterprise can be expected to become an exemplary economic factor whose reach will go far beyond the borders of the Estonian province.” The future proved the journalist’s latter statement correct. 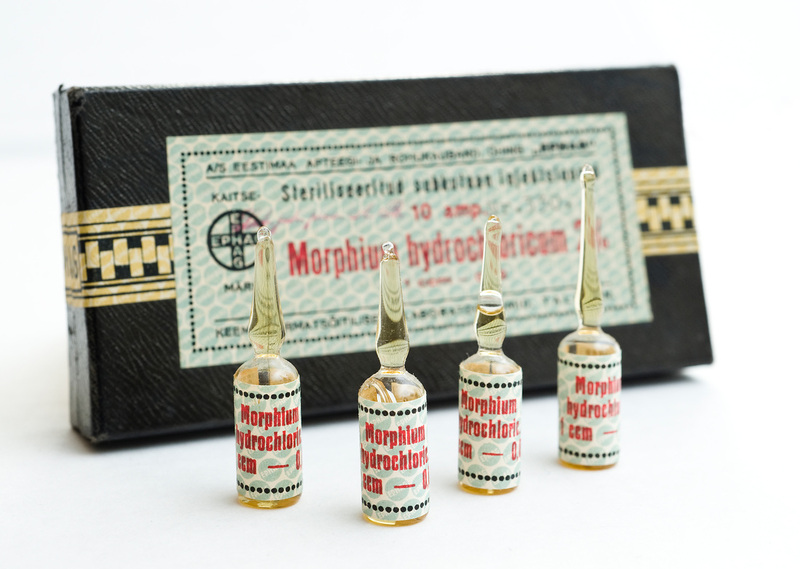 The EPHAG warehouses contained a wide choice of perfumery products and cosmetic supplies from the best domestic and foreign factories; hair, skin, nail and tooth care products; patented medicines in original packages, binders, surgical instruments, rubber and glass articles for medical purposes. They also offered various household and industrial chemicals, condiments for restaurants and home kitchens, and essences for liqueur, confectionery and soft drink producers. The company developed at a modest speed during WWI and immediately after the War of Independence. Great changes started in the autumn of 1923. A fourth floor was added and various internal reconstructions were made to the EPHAG’s building. Production facilities were modernised and the assortment of products was broadened the next year. 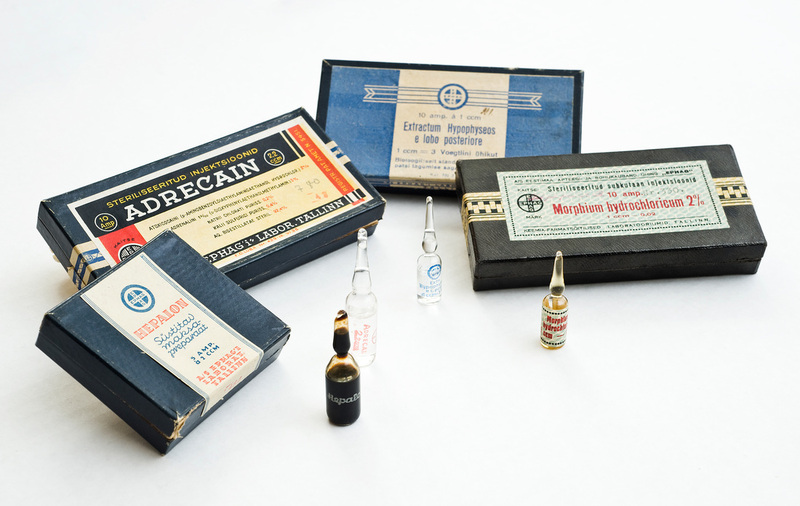 The new products were esters, extracts, tablets and injection drugs. The company opened a branch in Tartu and new retail outlets the same year. In 1931, the chemical laboratory of the Master of Pharmaceutics, F. Kurrot and A. Benkson, founded on 1 January 1926, was joined with the EPHAG. The company soon moved all its production operations to a building on Suur-Kloostri Street. Only the management of the joint company, a research and testing laboratory and shop remained on Harju Street. The EPHAG production unit was equipped with modern vacuum apparatuses, electrical tablet presses, large tube-filling machines, grinding mills for drugs and chemicals. The facilities were divided into departments that produced medicines, perfumery and cosmetic products, liqueurs and essences. It was decided to extend production operations in order to secure the future in the tough competition. A large plot of land was bough by Tondi Street, where a spacious two-floor production building with auxiliary buildings was erected according to the design of architect R. Natus. Moving to the new location that still houses the Tallinn Pharmaceutical Plant today began in January 1937. A manufacturing authorisation for the new premises was obtained on 13 March of the same year. There were 82 electrically driven production assemblies in the new building. The company was managed by three pharmacists with higher education; the technical staff consisted of two men and there were 22 workers. After the Soviet intervention in 1940 the EPHAG was nationalised and continued to operate without interruption during WWII. After the war, the enterprise was renamed the Tallinn Pharmaceutical Factory. It was the first one in the Soviet Union that started producing para-aminosalicylic acid –– the first tuberculosis medicine to be widely used, and vitamin P. Changes were made in production operations. Perfumery products were discontinued in 1950, while several medicines were added. The emphasis was on the development and production of painkillers and anti-inflammatory drugs. In 1961 the enterprise was renamed the Tallinn Chemical and Pharmaceutical Plant. It was later renamed the Tallinn Pharmaceutical Plant. Till the 1990s, the research laboratory of the plant, which was directly subordinated to the Soviet Union, was the leading laboratory of the Soviet Union in studying the pharmaceutical uses of animal poisons. The enterprise was privatised in 1994. Two years later the shares of the Tallinn Pharmaceutical Plant were listed on the Tallinn Stock Exchange. In 1998 the TFT’s quality management system was certified according to the international standard ISO 9002:1994 by the acclaimed certification company Det Norske Veritas. A new modern warehouse and an environmentally sustainable boiler plant have been completed. Based on the division of work inside the group, the Tallinn Pharmaceutical Plant is developing the production of semi-solid pharmaceutical forms, i.e. creams and gels. A new ointment apparatus was implemented in 2002, which is state of the art in the production technology of semi-solid pharmaceutical forms and enables productiveness and product quality to be further improved. The entire production process (supply of materials, production, quality control and release and marketing) complies with the requirements of Good Manufacturing Practice. Since 1998, when the Baltic countries’ largest pharmaceutical company, JSC Grindeks, acquired the controlling holding in the Tallinn Pharmaceutical Plant, and after the entry into a group agreement, close cooperation has developed. Ensuring the sale of the TFT’s products on export markets and within Estonia. Planning and developing new product technology in the TFT.